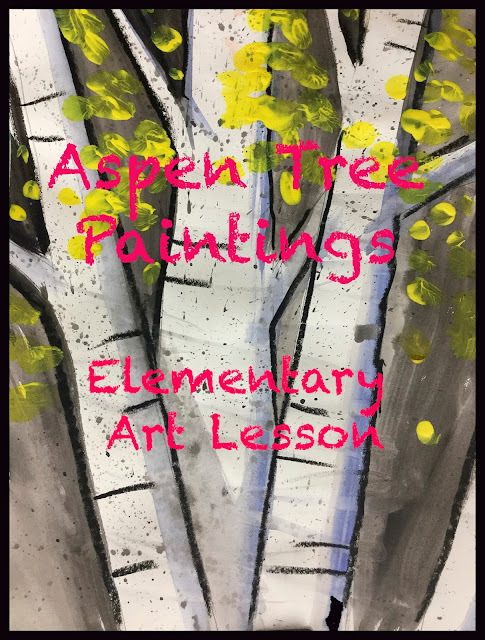 Who doesn't love Rocky Mountain golden aspen trees! This project can be done anywhere from 1st - 5th grade and is super easy to follow along with. Some of the art concepts covered include: overlapping, shadows/light source, splattering technique, and positive/negative space. 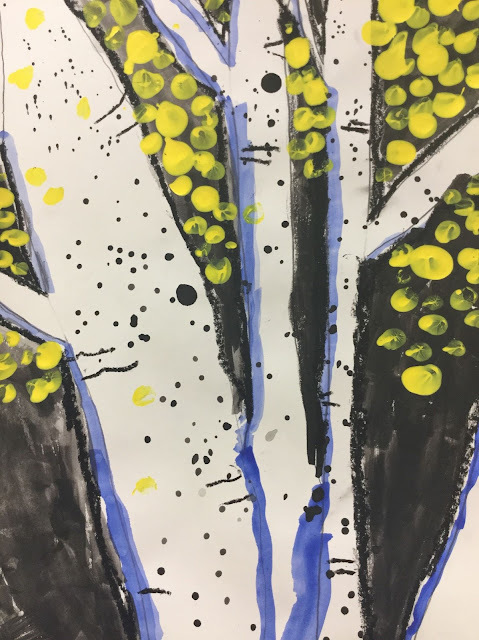 Draw vertical lines with a pencil to create the first tree. Add diagonal lines behind the first tree to add two more. Add another in the corner. Then add lines coming from the tree trunks for branches. Now, paint in the negative space with a black water based paint. 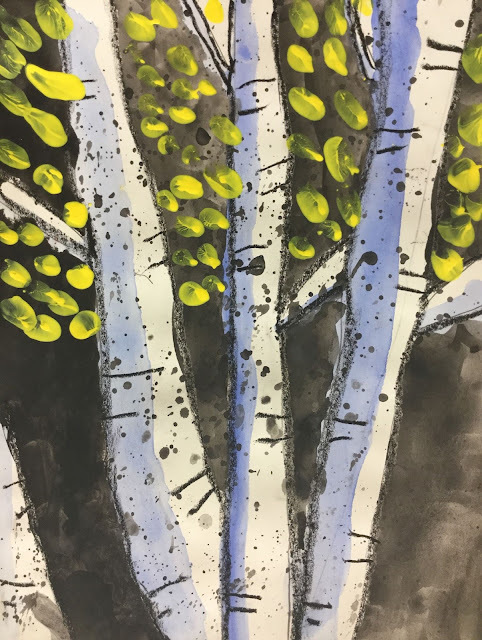 Next, splatter wet, black paint all over the picture to give the aspens their spotty texture. Then, outline the edges of the trees over the original pencil lines with oil pastel (or something dark) to make them stand out. 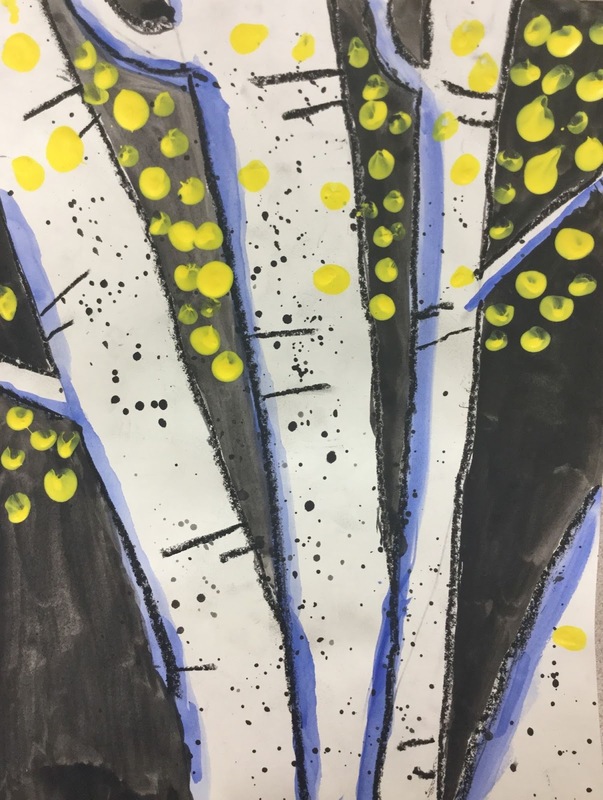 Finger paint using a thick acrylic yellow/orange paint to add leaves between the tree branches.